So, you've decided that you want to take your processes mobile. You've run the numbers, looked at all the options and decided that a mobile app is the way to go. Getting your workers to use the new technology should be a no-brainer, right? It's going to make their jobs faster and easier. Everyone can see that. So you launch the new app, and everyone’s really excited to try it out. But after an initial burst of enthusiasm, a lot of your workers stop using the app and go back to doing things the "old way". When you ask them why, they have a bunch of reasons: the new app is confusing, they don't know how to use it, it’s caused errors, it’s buggy, they can’t use it while they’re doing something else, etc. They say it’s easier to keep doing things the old way than to try and figure out the new app. So you shut down the app and start the hunt for something new. What happened? Is the technology to blame: was it really too confusing? Or did you, like many people, forget to include a user adoption strategy as part of your implementation plan? In this blog post, we’re going to explain what user adoption is, why it matters and how you can make sure your next tech implementation is a success with your workers. As the name suggests, user adoption is the process of getting users to adopt something: a new piece of software, a new way of working, etc. The problem is: humans are naturally resistant to change. If you just hand someone a tool and expect them to use it, with no explanation of how or why, they’re probably going to be a bit resistant. Successful user adoption isn’t just putting the tool in the user’s hand: it’s explaining to them why the tool is important, how the tool should be used, and what will happen if the tool isn’t used correctly. So, user adoption relies on user buy-in. Users don’t care which app platform you choose: they care whether or not the app will work for them. Will it help them work faster and better? Will it reduce the time spent on boring, repetitive work? Will it make their lives easier in some way? If so, make this point clear. Show them the value of using the new tools. Let’s see what a user adoption strategy might look like in a business. We’re going to use the example of a company that performs maintenance on forestry equipment. 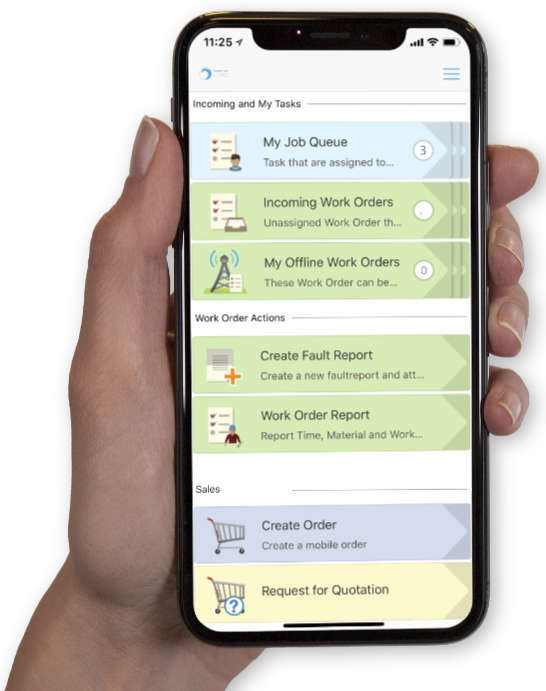 They’ve decided that they want to take their work orders mobile, switching from a paper form to a mobile app. They’ve already chosen a tool that connects to their ERP, and are in the process of building the work order application. Now, they just need to convince their service technicians to start using the mobile app. Make the service technicians aware of the problem. In this case: paper work orders. Say, for example, some work orders have been lost or damaged before the information got into the system. This is a huge problem: until the information on the paper form is entered into the computer, there’s no backup. So if paper forms get lost or damaged, a lot of data goes missing. This means customers aren’t billed correctly, technicians don’t get paid for the right hours, and so on. Show the technicians how the new app works. Once the app is built and ready to go live, start user training. Give the technicians a live demonstration of the app, and let them test it out themselves before they start using it in the field. Make sure the app works for them: that it’s simplifying things instead of making them more complicated. Encourage all service technicians to start using the mobile app in the field. Ask them for any and all feedback on how the app works, any problems they have, what could be done better, etc. Keep track of how many technicians opt to keep using the paper forms. Use positive reinforcement. Reward technicians who use the app for 100% of their work orders, let people know how many work hours have been saved because of the app, and so on. Make the case that the app is a positive addition to the service technician’s toolbox: back up that assertion with data. Sometimes user adoption will be really easy because everyone will see the value in the new thing. But sometimes, especially if you’re trying to make a really big change to processes or technology, you will probably encounter some resistance. Just remember: resistance to change is normal, and positive reinforcement works much better than bringing down the hammer. Are you thinking about going paperless or incorporating mobile apps into your business processes? Don’t forget about user adoption! We’ve put together a handy checklist to help you plan and manage a complete user adoption strategy. By the way: that work order app? That’s something you can easily build with Novacura Flow. 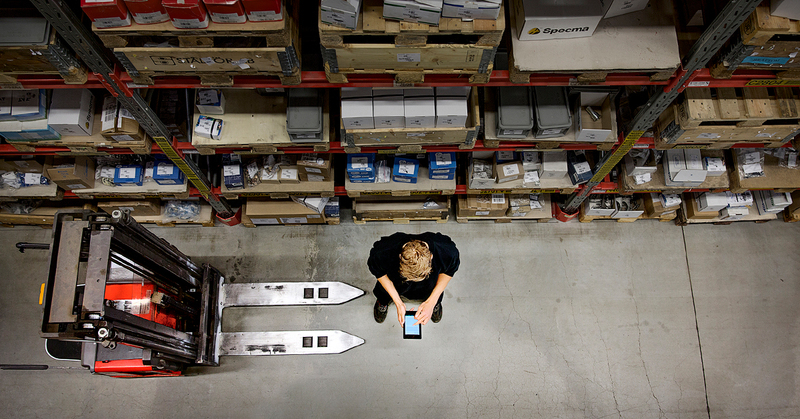 Often, the first step in a larger digital transformation plan is mobility: the use of mobile.